Members of the public who will use a two-months gun amnesty to bring in their unregistered and illegal guns will get a $50 Electric Power Corporation voucher. This was announced yesterday when the Police launched a two-month long amnesty in a bid to collect unregistered and illegal guns. The amnesty ends on 30 November 2018. This is the third amnesty under the leadership of Police Commissioner, Fuiavaili’ili Egon Keil. 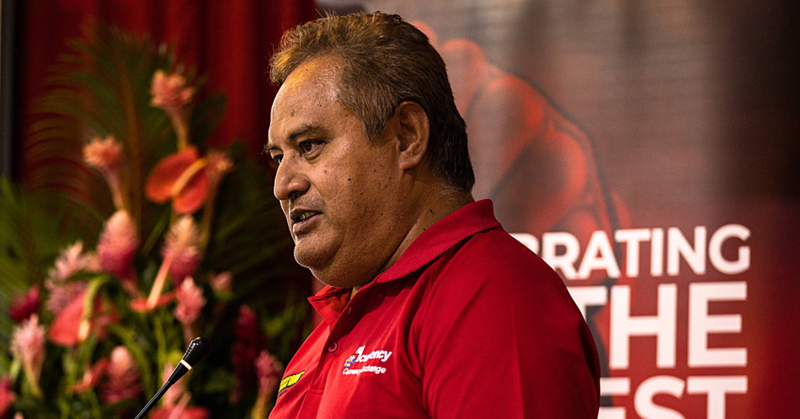 Acting Prime Minister, Tuitama Dr. Leao Tuitama, said this is a chance for people to stop violating the law by keeping illegal guns. “The rise of crimes using firearms has increased and that is why the Ministry of Police is giving you the chance to turn in those illegal guns to the Police without any questions asked,” he said. The Acting Prime Minister called on Village Councils to urge their people to heed the plea from the Ministry of Police. Tuitama said firearms brought forward will be destroyed, not used by the Police. 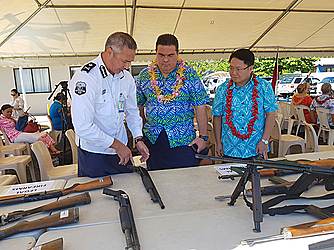 Police Commissioner Fuiavaili’ili said the number of firearms brought into the country remains a question. 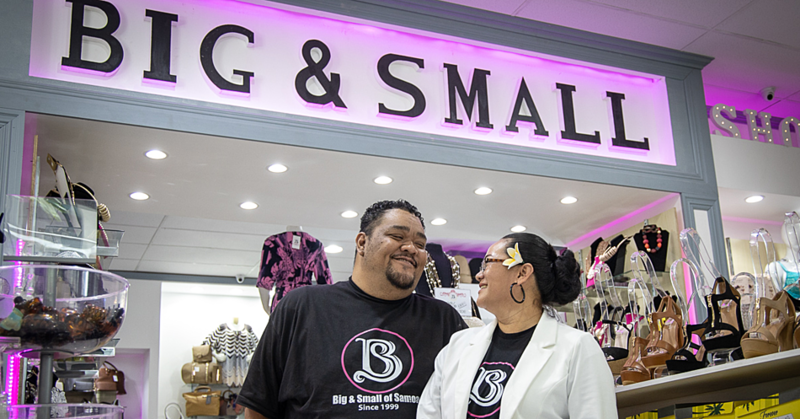 “Samoa does not manufacture weapons or ammunition. The amnesty is not limited to just weapons, we will also take in ammunition or explosives,” said Fuiavaili’ili. “If you turn it in within the specific time of the amnesty you will not face charges. “However if the firearms are caught in your possession after the amnesty, then you face the wrath of the law. Fuiavaili’ili said during the amnesty, citizens can call the police station (22222) and have their illegal material picked up if they can’t bring them in themselves. “However, if you decide to bring it in, we caution against exposing these guns in public, so cover it up with a mat, make sure its unloaded then bring it in,” he said. 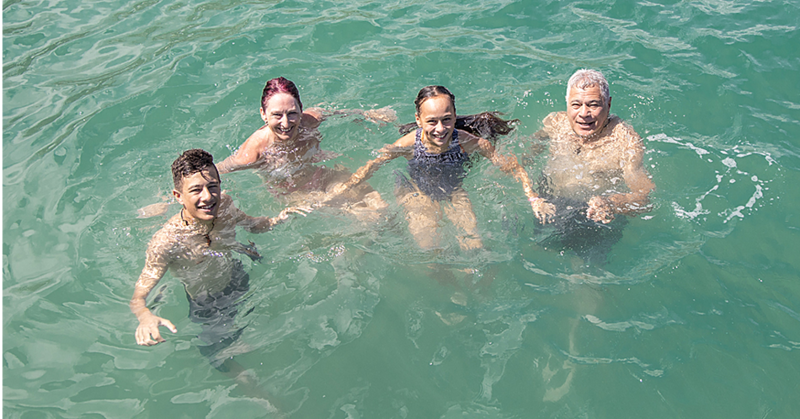 Only three types of guns are permitted in Samoa: shot guns, 12 gauge or 16 gauge, 22 rifle, as well as BB guns or air guns designed to shoot metallic balls. Fuiavaili’ili warned against importing guns into Samoa without permits by hiding them inside containers. To date, more than 1,000 illegal guns were destroyed during gun amnesties since 2015. Last July, the Ministry of Police destroyed about 300 illegal firearms recovered during their operations.